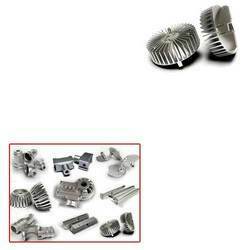 Manufacturer of a wide range of products which include aluminium die castings. Our organization is surely understood in the business as a promising association, occupied with offering a recognized range of Die Castings for Aluminium. The offered bite the dust castings are broadly utilized for making bites the dust of diverse segments and parts and are exceptionally requested in kick the bucket throwing industry. Our gave bite the dust castings are acclaimed to their high quality, simple support, splendid completion, unrivaled sturdiness, bother free establishment and different traits. Likewise, the gave kick the bucket castings are offered on various details as indicated by the interest of clients. Looking for Die Castings for Aluminium ?